I’m back home after spending almost 3 weeks in Wijk aan Zee. 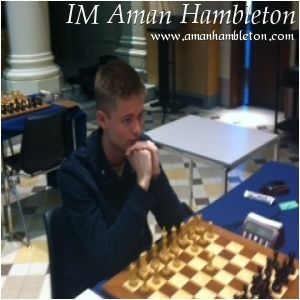 The Tata Steel Chess Tournament has turned a new page in my career, no doubt about that. However, I lost quite a lot of a rating but still I’m feeling happy that I’ve got an opportunity to play next to the best chess players of the world! I lost 6, won 1 game and others finished in draw. In majority of the games I lost, I was too optimistic and was overestimating my positions though going for complications which were on the favor of my opponents usually…. A few words about the organization of this event. What I will tell is not a surprise : the chess event in Wijk aan Zee is the most profesionally organized chess festival I’ve ever participated in. Many people think that the chess tournament in Wijk aan Zee is just the best chess event in history and I think they are right! This year it has been the 75th edition already! There are plenty of photos on the official website of the tournament. It’s also worth of checking the Facebook page of the Tata Steel Chess Tournament! In addition, I’d like to share some more photos from Wijk aan Zee and Amsterdam with you, guys. Special thanks to Efstratios Grivas, Fred Lucas, Peter Doggers and Frans Peeters for taking such a cool pictures! Запись опубликована в рубрике Netherlands, Travelling с метками Amsterdam, Netherlands, Tata Steel, Travelling, Wijk aan Zee. Добавьте в закладки постоянную ссылку.